Borrowdale Community Church is a part of the Faith Ministries. They have a vision to reach people and turn them into fully devoted disciples of Jesus Christ. Borrowdale Community Church wanted a website that would help them reach out to the world and to minister to their congregation. 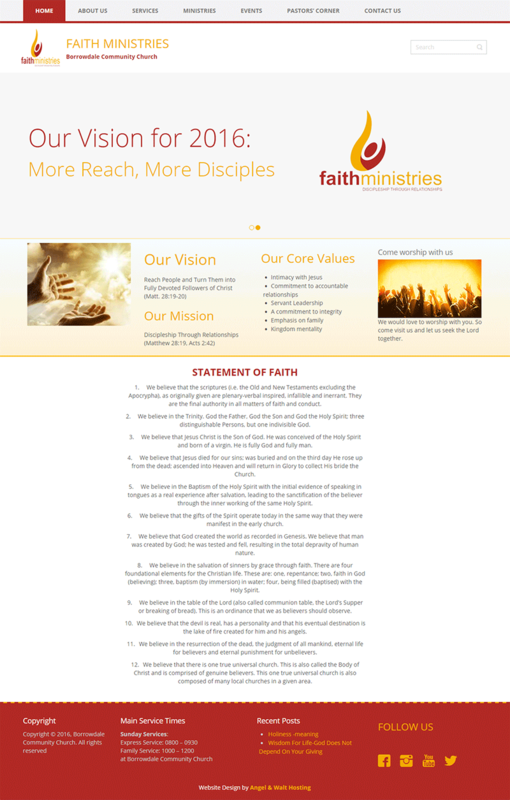 The website would also inform people about their services, ministries and meeting times. The result was the website listed below.